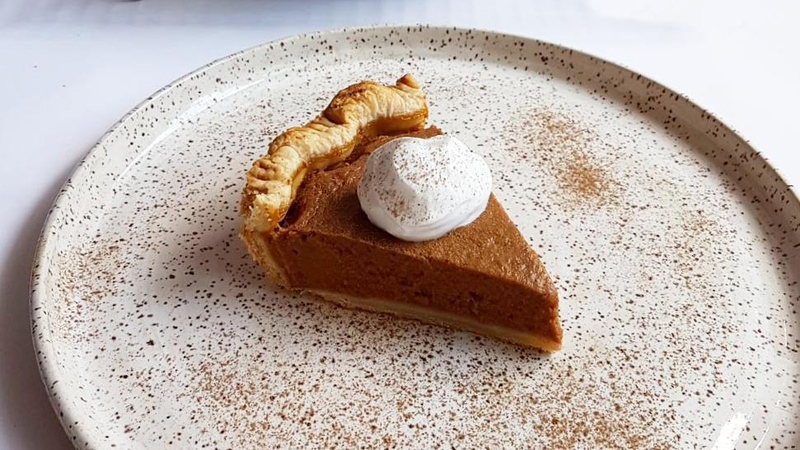 Come try our seasonal products, vegan pastries, cakes and more! Our products are plant-based and nut-free including gluten free options. Only the best in the Basket. 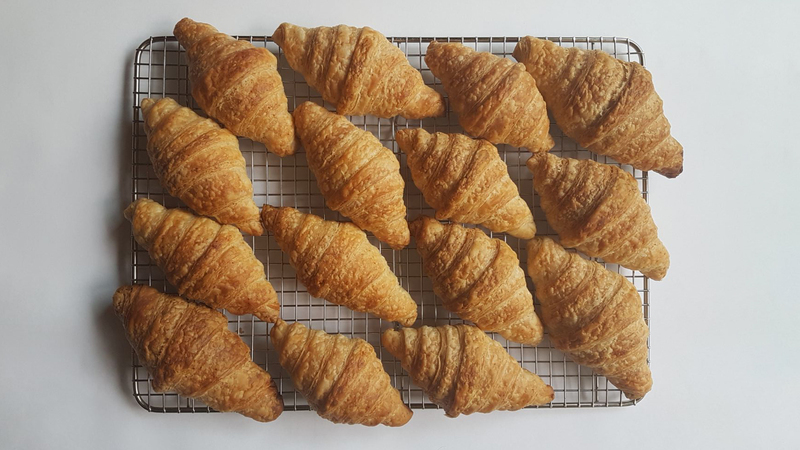 When sisters, Mallory and Molly Girod, set out to create recipes for their baking company it all had to be shareable and of course tasty. From a family with diverse allergies and food sensitives they knew first hand how challenging it could be to sit down to enjoy the same treats.  Sharing what you love with who you love is the foundation of Yellow Basket Baking. The business, thriving with Molly as sole owner, has upheld those goals and built on that foundation. 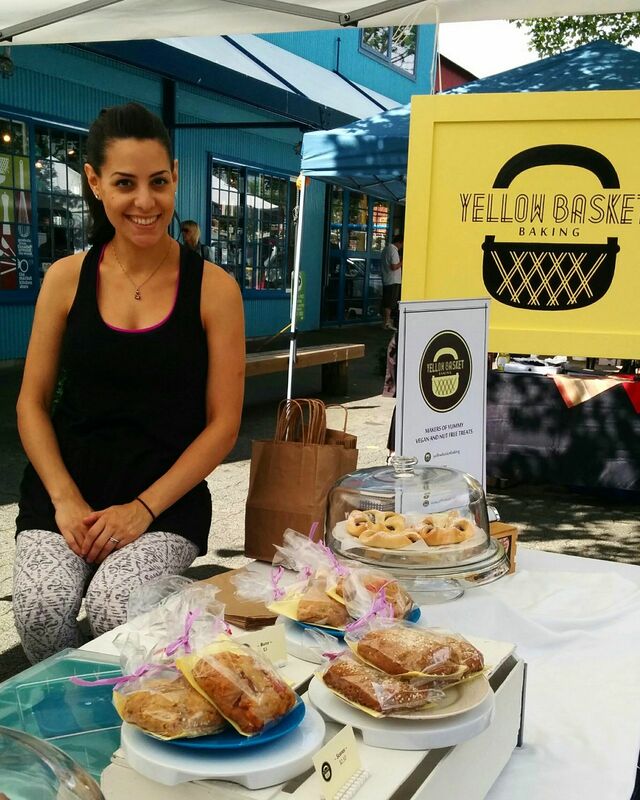 Creative, passionate and always hungry Molly Girod started baking at a young age and hasn’t stopped since. Yellow Basket Baking never uses animal ingredients or nuts, so Molly has strived twice as hard to create full rich flavour and amazing textures. Passionate about quality and sustainability Molly also insures tasty products by sourcing as much organic and local ingredients as possible. The recipes may have evolved from those early days, although a good Chocolate Chip cookie is still her favourite, the intention remains the same – Make something tasty to share! Join our mailing list to receive the latest news and updates on where we'll be!